Dr. Amit Shah has an illustrious medical career being awarded 3 Gold Medals and for Ranking 1st during his Medical training. After his Masters in Orthopedics from one of the most prestigious Universities of India, he trained in Advance Knee & Hip Replacement surgery in various hospitals in India, Singapore and Switzerland. He was then awarded the DePuy Fellowship in Basic Arthroplasty, J&J Fellowship in Advanced Spine surgery and the Zimmer Fellowship in Advanced Adult Joint Reconstruction. He also completed advanced training in Complex Fracture fixations from National University Hospital (Singapore) and AO (Switzerland). He has taken active interest in teaching, academics and clinical work and served as Professor of Orthopedics in various Medical Colleges in India and was involved in Undergraduate and Post-Graduate medical teaching. 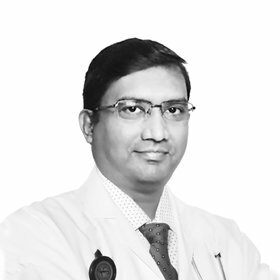 He brings his vast and rich experience of over 22 years to Amber Clinics, Dubai and offers his expertise in muscle, bone & joint problems, sports injuries, complicated fractures, back pain & spine disorders, knee & hip arthritis, pediatric bone & joint problems, work & age related musculo-skeletal problems and diet and exercise advice for long term relief.